A South Korean delegation of 250 people arrives in North Korea. They will stay for two days at Mount Kumgang. It is the first inter-Korean civil event this year. Prohibit cameras, laptops and other equipment: fault of the sanctions. Seoul (AsiaNews / Agencies) - A delegation of religious leaders, representatives of South Korean civic groups and parliamentarians left this morning for North Korea to organize a joint New Year event with their North Korean counterparts. 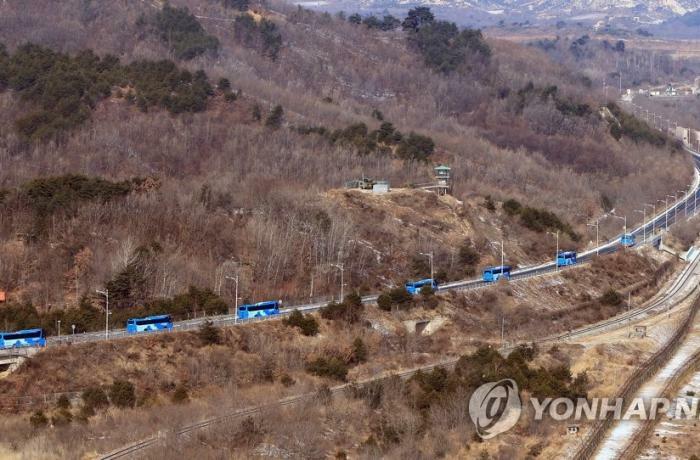 Buses carrying the group (photo), made up of about 250 people, crossed the eastern inter-Korean border at around 11am, towards Mount Kumgang, where they would stop for two days. The leaders of the main religions of South Korea, trade unions and civic groups representing women, young people and agricultural communities are part of the expedition. Along with them there are also a dozen journalists. In addition to the Lunar New Year celebrations, activities and meetings are planned. On the second day, South Koreans and North Koreans plan to watch the sunrise together and visit a temple. Various cooperation projects are expected, such as visits to the temples, symposia for educators and exchanges between sports and art students. What opened today is the first inter-Korean civil event this year. 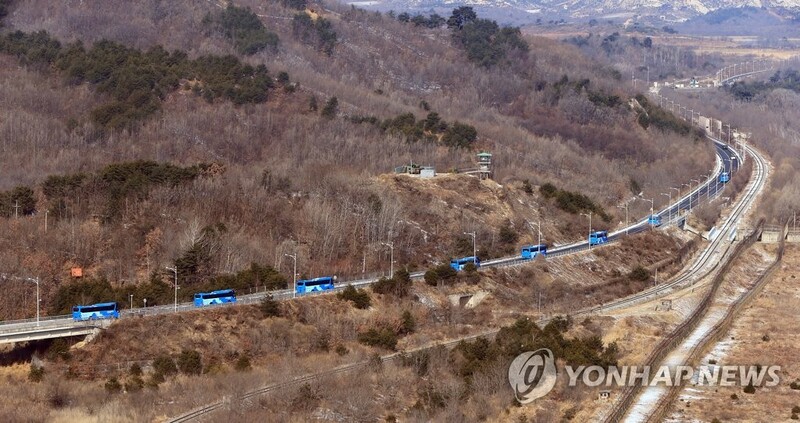 The delegation's visit to North Korea follows about three months by officials from the Korean Council for Reconciliation and Cooperation, who visited Mount Kumgang to demand the faithful implementation of the agreements signed last year between the two Koreas. Journalists accompanying the delegation were not allowed to bring cameras, laptops and other equipment because of the sanctions imposed on North Korea. An official from the Seoul Ministry of Unification told reporters that there was not enough time to consult the United States for exemption from sanctions on such devices.